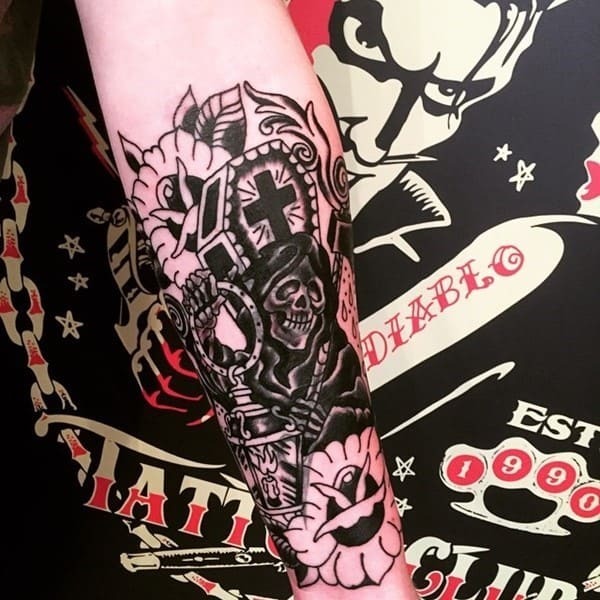 Tattoo art has become a popular way of body embellishment and creative designers are on a constant lookout for some new elements to create innovative tattoo designs, which have amazing eye catching qualities. 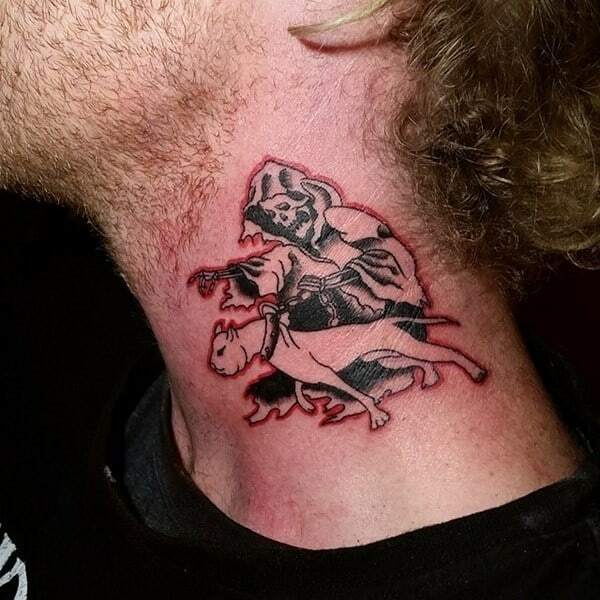 One of such unique tattoos is Grim Reaper tattoos, which are attractive in a scary and unusual way. The Grim Reaper is a legendary character associated with death as he is regarded as the collector of souls of human beings. It is said that this mythical person carries a scythe, which he uses to separate the human soul from the physical body at the time of death, following which he delivers the soul to its ultimate destination and moves ahead with his job. Scary as it sounds, there is no established proof to this legend but still this character seems to attract the attention of human beings. 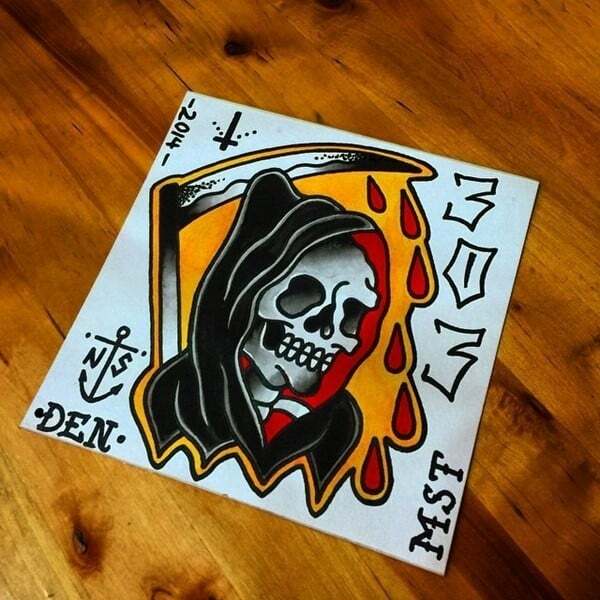 This also makes it a popular choice for creating some wonderful and alluring tattoo designs. 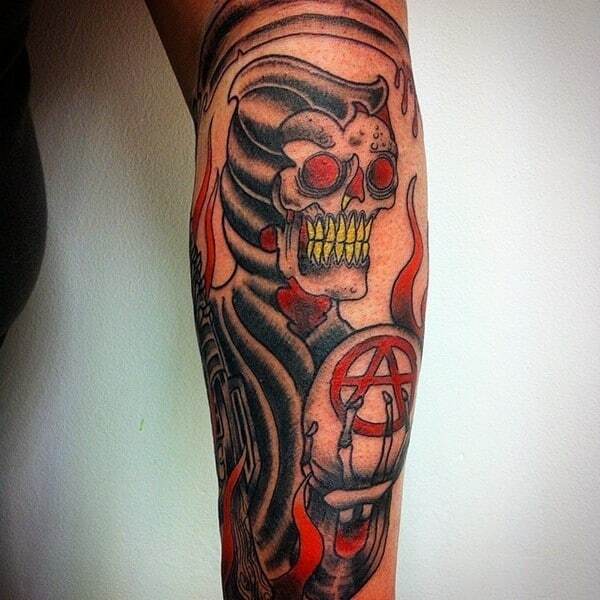 This interesting tattoo design is a favorite among men though women too have not been untouched by its attraction. 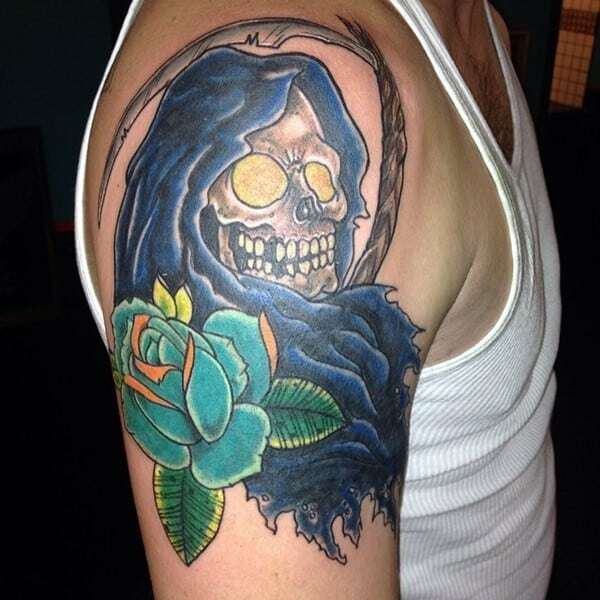 Here are some interesting facts about Grim Reaper tattoos. The Grim Reaper is regarded as an iconic symbol of death and mortality, a fact that attaches it with a negative symbolism. The character is shown wearing a black hooded robe, has long hair and carries a sharp scythe which he uses to cut down the human souls, and to top it all, it bears a grim expression on its face. The entire look of the Grim Reaper casts an impression of fear on any one, but the fact is that he reinstates the fact that death is the ultimate reality of life and every person will get to meet the Grim Reaper at end of his life. In some religions, he is regarded as someone who accompanies the human souls in their journey to the next world. In fact, it is said that the Grim Reaper appears at the moment of death and people have even reported seeing him at the time of death of their loved ones. On the other hand, some cultures such as the Romans consider him as appositive omen. The Grim Reaper is revered for his neutrality because he considers all people as equal when he comes to take their souls to afterlife. It is even believed that he puts an end to the suffering of people by taking them to the next world. 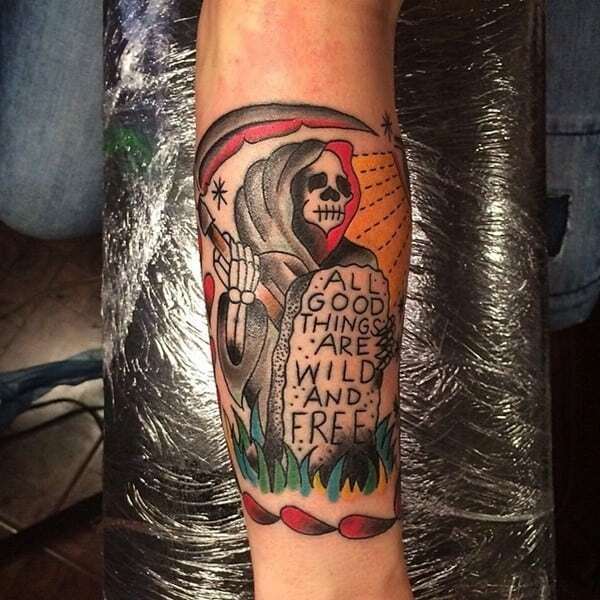 Certain other symbolic meanings associated with the Grim Reaper are bravery, fragility, reality, luck and new life, while on the negative side, these tattoos can signify a person lacking emotions for suffering and pain. 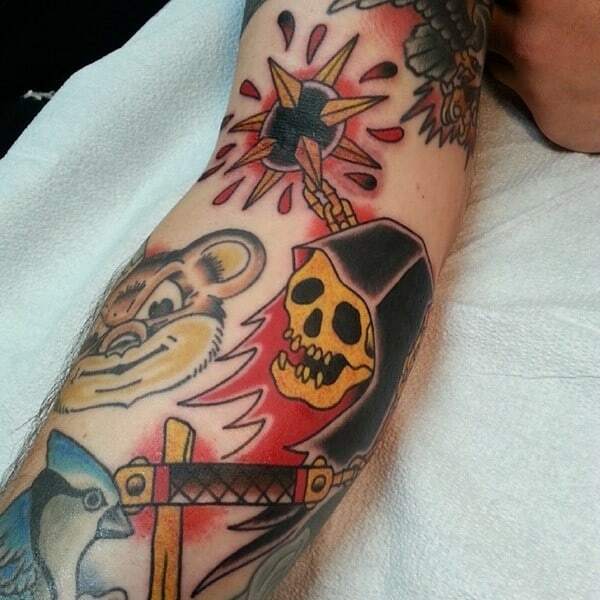 Still others may link the tattoo with the completion of life cycle and seeing death as a new beginning. 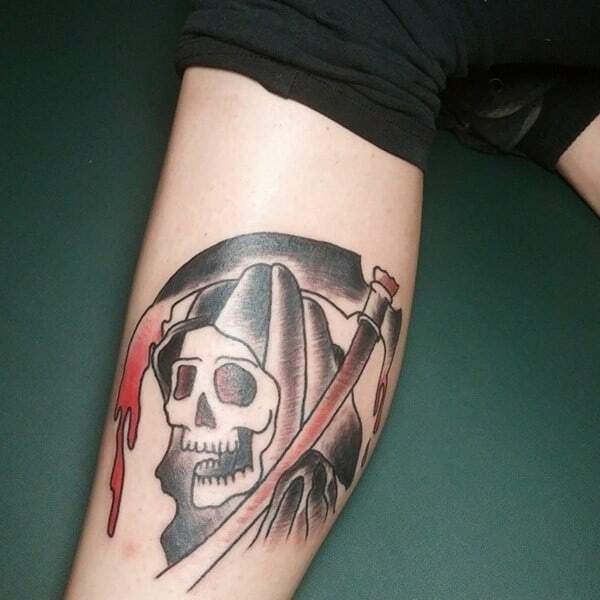 The Grim Reaper can also be symbolically associated with fearlessness towards death and accepting it as the ultimate truth of life. 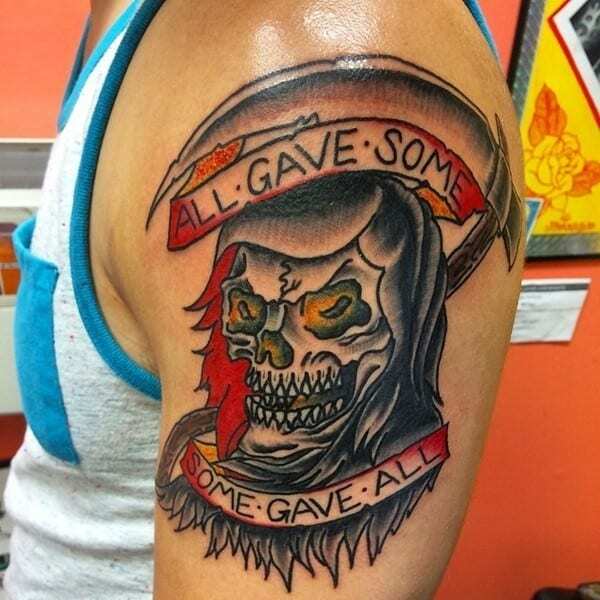 This is why soldiers are often seen bearing this tattoo design as it inspires them to fight without the fear of death. 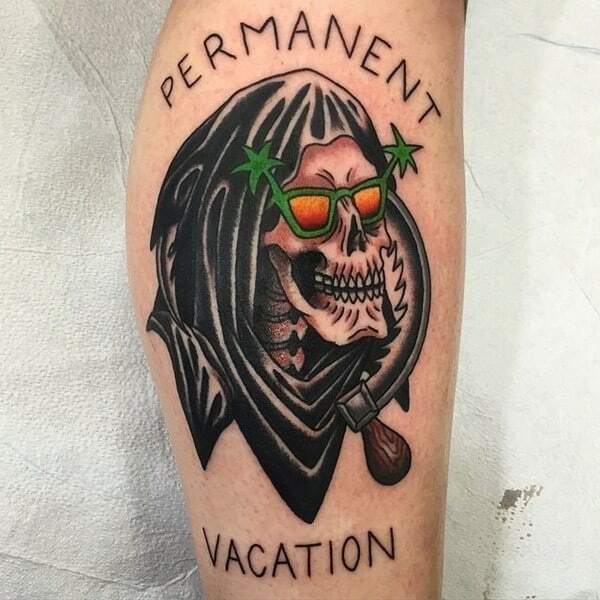 Like all other tattoos, the most important aspect of Grim Reaper art is its placement as it needs to be inked in such a manner that its placement adds more charm to the design and makes it highly attractive. 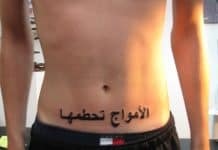 The placement depends mainly upon the size of the tattoo, the larger one befitting wider surface area and vice versa. 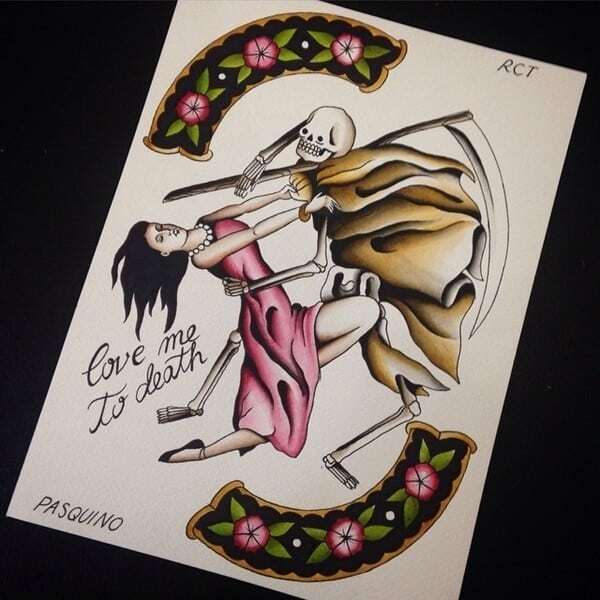 Larger and more detailed tattoos can be inked on chest, lower back, stomach, spine, leg, ribs (sides), sleeves, shoulder, thighs, hips, breast and under the breast, while smaller ones look good on arm, forearm, ankles, wrists, collar bone, back of the neck, hand, foot. 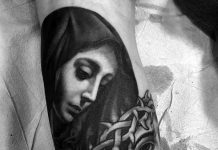 Wherever the art is inked on the body, it is guaranteed to be a source of attraction, because it has a very alluring and fascinating quality. 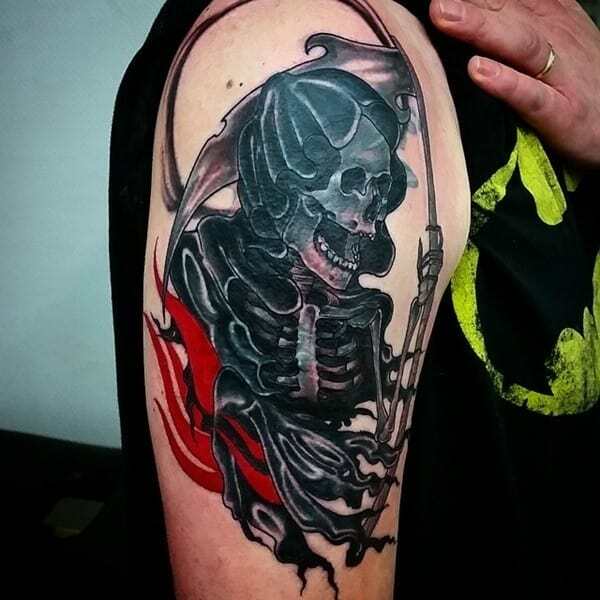 The Grim Reaper may be a dark and gloomy character but there is a fascinating quality about it, which makes it a popular choice among modern tattoo designs. 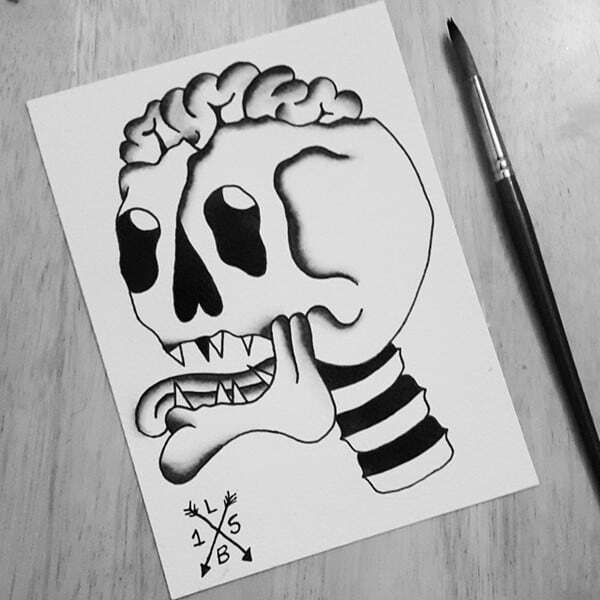 Artists have been working on various designs so that they can present this mystical character in the most interesting form of a tattoo. 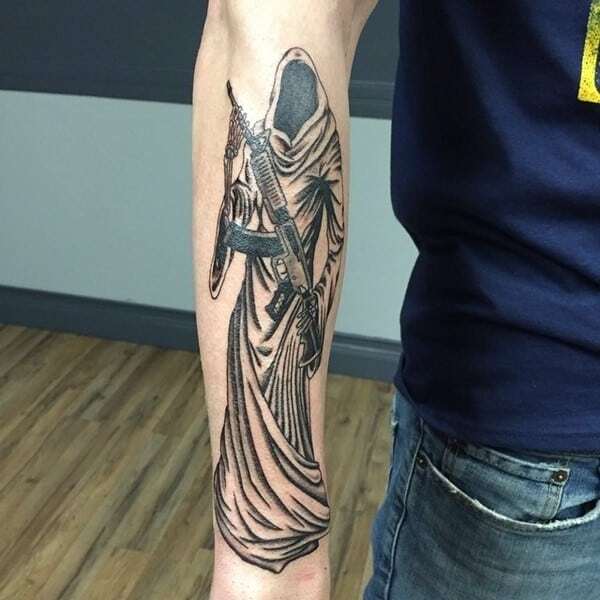 The tattoo will almost always be ink with a dark hood and a scythe, which it holds in different positions, sometimes alarming ones. 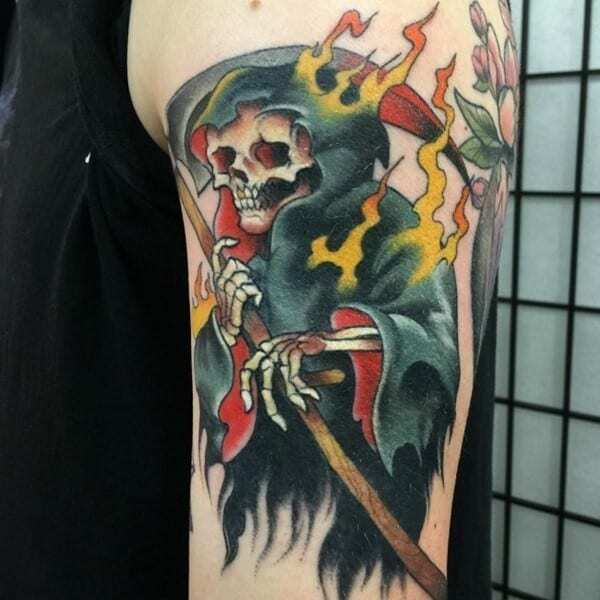 In some designs, the reaper is shown as a faceless character, with only hollow eyes in the name of facial features, while others may picture the Grim Reaper as a skull or skeleton. 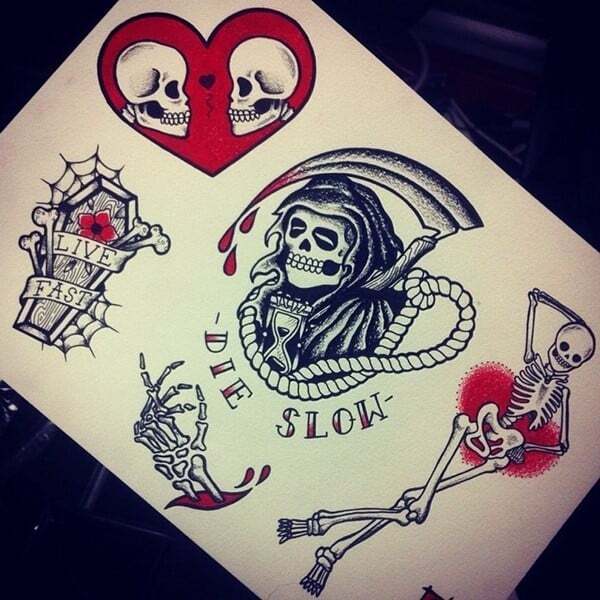 Some other elements which can be added to the tattoo design to add new meanings to it are the hourglass, a soul, the Pale Horseman and Death’s Handmaiden. 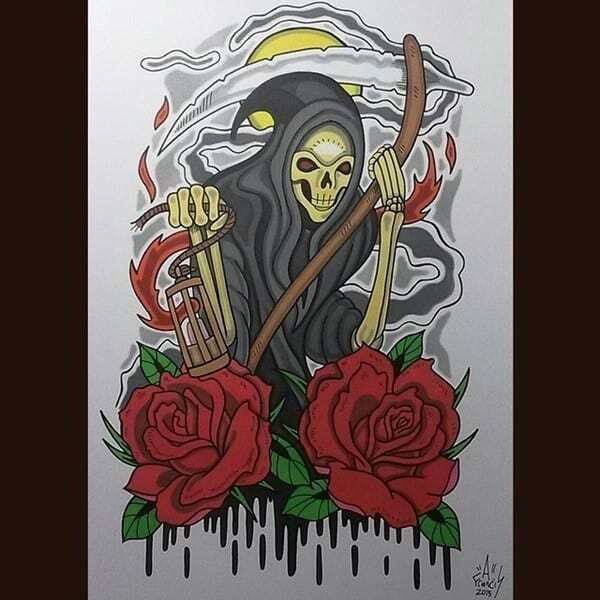 Since no one has actually seen the Grim Reaper, he is just a figment of imagination and it depends upon the artist that how he portrays this character to its best. Besides the design, what really matters and makes a difference in its quality is the right use of colors. 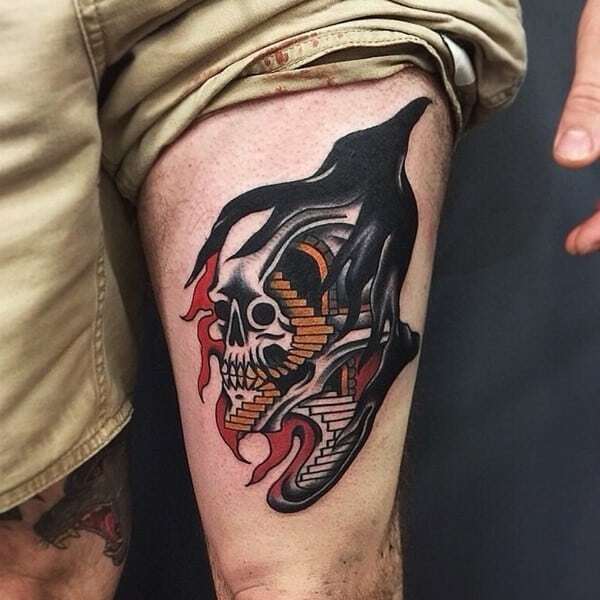 Though some tattoo artists stick to the conventional grey and black in these tattoo designs, others may make use of shades of orange and red around the Reaper to create a more realistic impact. 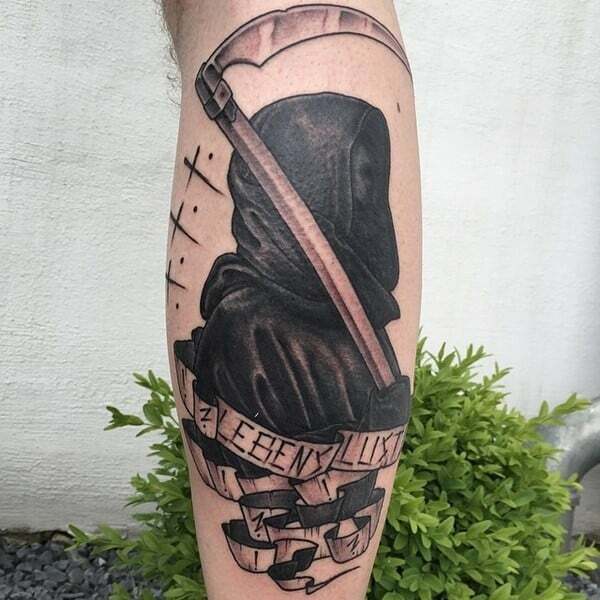 Recently, artists have started making use of 3D designs in Grim Reaper to make them more lifelike. Before you get them, it is important to understand its meaning and symbolic value because this tattoo is an abstract one. 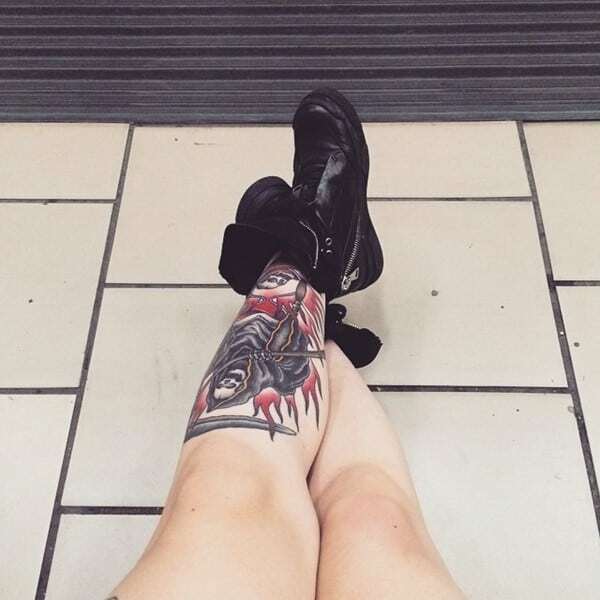 Moreover, when you get this tattoo inked, you are bound to attract a great deal of attention and you should be cool and committed enough to meet those repeated glances with the right attitude.